Life is a lot like the process of making art. You cannot avoid the parts you dread. You cannot skip ahead. Forcing the pace is counterproductive. You may feel more effective if you’re doing a million things at the same time, but that’s only an illusion. Because you’re avoiding the real deal by being too busy. You’re not actually getting ahead, you’re going in circles. And Life is about moving forward. Give the present moment all your attention in spite of the overwhelming urge to get up and run. If you approach this moment with curiosity and an open mind to discovery, then you will be moving forward with anticipation for what’s next. Because what’s next is just another way of saying change. And change is the only thing in Life that is 100% irrefutably guaranteed. The artist and inspirational art-book author Alex Mitchell is a born storyteller who loves sharing her life through art. She created a series of three poem picture books with tender and humorous poems for readers of all ages. Currently she’s happily obsessing over her latest picture book project. Gliding around the roller rink, forward, backward, and on one foot, Tom moves with ease and grace through space. He’ll help you learn to skate backwards if you like. An intrepid hiker, Tom is an experienced navigator of Peninsula trails on both sides of Hwy 92. As for lunch, Tom loves to move through options from around the world: pho, pad seuw, hot and sour soup, chili, chicken teriyaki, pesto. . . . He cooks delectable scrambled eggs and is partial to mini chocolate chips with organic frozen yogurt. If something is out of place, Tom will notice and take care of it. He enjoys having a bird’s eye view from high places. And he doesn’t ever forget a person he likes. The other day, our De Colores team discussed what makes a successful summer workshop for adults who are creative and want to be part of their community. It is vitally important to our team that all of our programs allow for creative expression, to promote a cultural shift towards inclusion. Our workshop-in-the-making is called, Building Inclusion. This summer workshop utilizes the evidence-based methodology of The Miracle Project®, a program where inclusion is a core element of its noted success. Inclusion is a hot topic, locally and globally. De Colores is making a mark in our communities by addressing the isolation and exclusion of adults with disabilities, starting with their exclusion from the work force. In 2015 the Bureau of Labor Statistics reported that the unemployment rate for people with a disability was 10.1%, compared to 5.1% of those without, nearly double the national average. That means that more than 6 million adults are excluded from the work force. This figure does not include individuals who are underemployed. The expressive and performing arts are vehicles that provide a transformative experience by allowing students the opportunity to gain transferable skills for careers across many industries and life. The arts enrich human communication by connecting those expressing themselves with the recipients of the creative expression, the audience. The Miracle Project® is a perfect example of the power of communications and inclusion through the arts. The program extends beyond acting, singing and dancing. For example, when visiting Elaine Hall, the Founder of The Miracle Project®, in her classroom at the Wallis Annenberg Center for the Performing Arts in Beverly Hills, the power of her art was palpable. During rehearsal, Elaine commanded the room. She imparted confidence in her students with every run-through and every line spoken and unspoken. The music reverberated throughout the room, filling it with energy as the students recited their lines or moved to music. 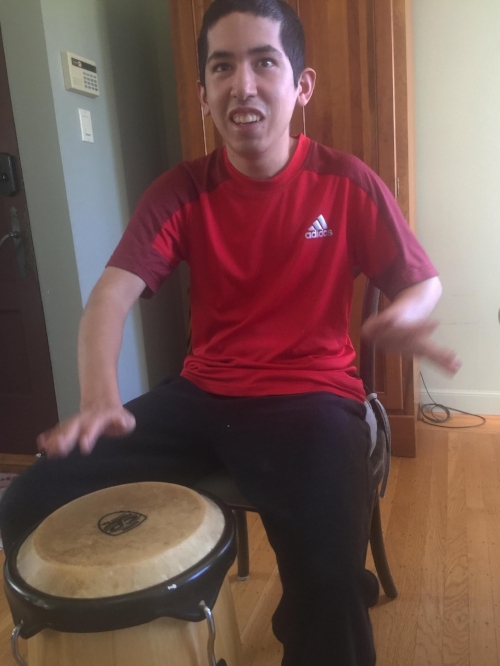 Students, verbal and non-verbal, joined with others who demonstrated a wide range of artistic, physical and expressive abilities. In the rehearsal room, there was no us or them. Everyone had an equal ‘voice.’ The equality and inclusiveness were magical. An inclusive philosophy can be applied to a wide range of areas. Creating inclusive spaces is not solely a matter of accommodation. It must be a philosophical restructuring of how businesses and systems conduct themselves, inside and out. Inclusive environments benefit those in tech companies, banks, schools, on the sport fields as well as on and off stage. All too often people of diverse abilities struggle to find a place within social and work environments. Inclusion can be as simple as creating a job for a greeter who welcomes customers into the grocery store, someone who waters the hydrangeas in a flower shop, or an usher who guides a person to their seat in a dark theater. The natural consequence of inclusive environments is the cultivation of strong, thriving communities. Through theater, Elaine has perfected her craft, teaching her students a vast range of skills such as patience, physical and emotional control, memorization, leadership and, most importantly, self respect. The Miracle Project® is an evidence-based program that focuses on allowing each student to find his or her own identity, giving them space to find pride within themselves. In helping to build and strengthen relationships, these skills can later transfer to the office, a classroom, a coffee shop, a baseball field, the Senate floor, Hollywood or even Broadway. We encourage communities that value inclusion and diversity to create opportunities for self expression and open dialog, to close the divide between those with different opinions, ideas, cultural backgrounds and personal beliefs. We can create change, one miracle at a time.